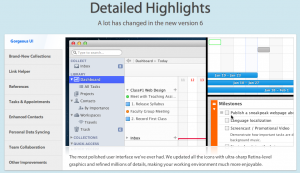 Pagico is a Mac App that serves as a team planning and collaboration tool. 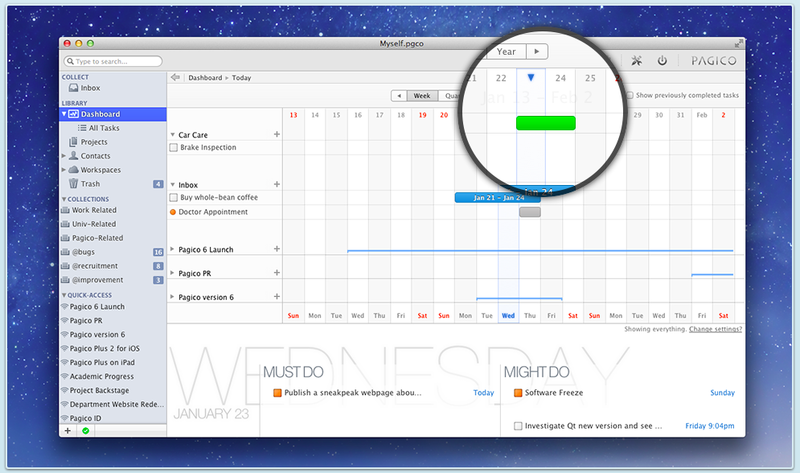 Available for Mac OS X, Windows, and Ubuntu, Pagico helps users sync data across various devices and stay productive. This app is simply breathtaking. It’s an utterly gorgeous app that features a sleek, elegant design that fits perfectly with the Mac aesthetic. But this heart-stopping app isn’t just easy on the eyes…it’s also an extremely intuitive and incredibly feature-rich. Your database is cross-platform compatible. That means you can use your Windows PC at work to create a database, and work on it on your home iMac. That level of flexibility (paired with a ton of different language options) makes this perfect for teams who work on the same project from different geographic locations. All packages come with one 15-day, full-featured free trial. No payment or credit card number needed at all. If you find Pagico fits your workflow well, you canpurchase a regular licenseand activate at any time. 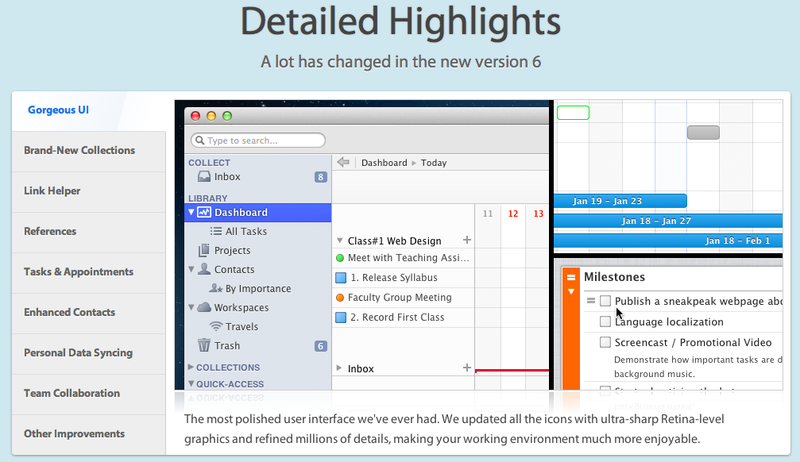 Pagico for Desktop 6 is available as a single, full-featured edition for just $50 USD. One of the company’s lines about their product is “Visualize. Not overwhelm.” At it’s core, that’s what Pagico offers. You can work on dozens of different projects, but never feel overwhelmed as you take in your entire workload at a glance. If you’re flummoxed with your current options for collaborating with your team, Pagico is worth checking out. It comes at a steep price, to be sure, but with 15 days to test it out, there’s no risk for those who want to give this stellar app a go! 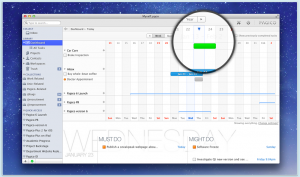 Pagico requires an Intel Mac with Mac OS X 10.5 or higher. Compatible with Mac OS X 10.8, Mountain Lion. A PowerPC version for Macs is also available. This PPC package is version 5, and is no longer actively supported. Pagico is also available for iPhone and iPad.